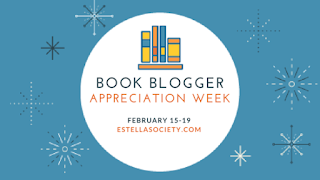 I'm so happy that the wonderful women at The Estella Society have brought back Book Blogger Appreciation Week, first conceived and run by Amy of My Friend Amy in 2008. Despite my support and enthusiasm, I'm currently swamped with work, so my participation will be limited. One thing I wanted to be sure to do, though, was sign up for the blogger interviews. The interviews are a fantastic way to get to know other bloggers, so make a point of clicking on over to The Estella Society to find more Q&As with your fellow book enthusiasts. But first stick around to meet Curtis. Curtis blogs over at Convergence Book Reviews, where he shares his thoughts on what's he's reading and talks about some book events he's attended. Listen in while he and I visit. Oh, and don't forget to head on over to Convergence Book Reviews to see my answers to his questions. Me: The first thing I noticed when I visited your blog is that we overlap on very few books. You read a lot of M/M romance, and I haven't read any. What two books would you recommend to someone new to the genre? Curtis: There are some really great writers in the genre, who I think sometimes get overlooked because it’s seen as a niche and the books don’t often make it to the mainstream. If I had to choose two books, I’d start with Greenwode by J. Tullos Hennig. It’s an incredibly rich retelling of the Robin Hood story, which is a story I’ve always enjoyed in its many variations. It’s definitely one of my favorite books I’ve read. The second I’d recommend would probably be The River Leith by Leta Blake. It’s about an amateur boxer who suffers a brain injury and loses three years of his memories—including all memories of his boyfriend and taking him back to a time when he hadn’t thought loving a man was a possibility. It’s a well-written, emotional, and inspiring story. Me: Wow, both those books sound amazing. I was just saying the other day how much I like retellings, so the first book is likely a good match for me. The second book sounds emotionally powerful. Your blog is solidly about the books, which is a good thing. But can you tell us what else you like to do besides read? Curtis: I’m an avid fan of the arts, especially music and theatre, and I find time to be active both as a patron and volunteer in my local community. I’m a freelance proofreader, currently contracted with two fiction publishers, and I also spend some of my online time as a co-chair of the Volunteers & Recruiting Committee of the Organization for Transformative Works, a non-profit organization that strives to provide access to and preserve fanworks and fan culture. Me: I didn't realize you were a fellow freelancer—that's a fun connection between us. How cool that you're active in the arts community. Now, of course, I have to know what prompted you to start a book blog. Curtis: I’ve always been an avid reader, and I often have people come to me for book recommendations. I found that it would be not only an opportunity for me to share some of my thoughts on books more broadly, but it could also be a catalyst to help me stay on top of my reading goals. The authors and publishers that I’ve been able to engage with as a result of starting the blog have served as an added benefit that helps keep me going. Me: I too love the interaction with other book people. Now if only I were better at meeting my reading goals. I see that you went to the Gay Romance Northwest Meetup last year. Can you tell us where and when will it be held this year? Any advice for a first-time attendee? Curtis: Gay Romance Northwest will be held on Saturday, September 24 in Seattle. It’s a day-long gathering of authors, editors, publishers, bloggers, reviewers, and readers with a connection to LGBTQ fiction and romance. My recommendation to a first-time attendee would be to plan to stay for the whole day. Things usually get started in the morning and go into the night, but there is just so much to offer. 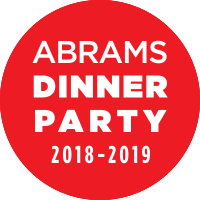 The schedule usually includes panels for current and aspiring writers, reader discussions, sessions exploring the state and future of the genre, a book fair/author meet-and-greet, and a celebratory event to end out the day. Attendees also typically leave with some great author swag and free books generously provided by authors and publishers. Me: This sounds like a fantastic event for all kinds of book lovers. Seattle is too far for me to travel, but I hope those of you in the Northwest seriously consider attending. My last question is this: You've decided not to post one- and two-star reviews, a decision lots of book bloggers make. 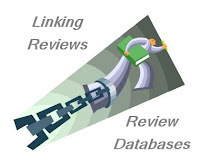 Do you tend to skip negative reviews when you read other blogs? How do you feel about people writing posts about books they gave up on (DNFs)? Curtis: I don’t really have a strong opinion on people posting negative or DNF reviews on their blogs, and if I see one, I don’t necessarily just skip past it. The reason I decided not to post one- or two-star reviews is the I see my blog as a place to recommend books. Recognizing that I’m probably not recommending a one- or two-star review, I prefer to focus my energy on sharing the books I really enjoyed. Everyone has their own approach, and it’s often through seeing a variety of opinions that people can really find what might be of interest. Me: I totally understand the idea of wanting to be a source for recommendations. I agree too that a variety of opinions is important. I enjoy reading negative reviews, if they're respectfully written. I hope you added Convergence Book Reviews to you blog reader and had fun getting to know Curtis. I'm all about expanding my horizons, and it's great to know I that I now have a reliable source for recommended M/M romance. Plus the two books he suggested in the interview have already made it to my wish list. Ah, what a timely interview! I was looking for someone conversant in m/m romances who had reviewed the Pacat Captive Prince trilogy, which I just finished and loved. But I had read some criticisms of Pacat (who is female) for writing on this topic. Happy to learn about Curtis, go to his blog, and get his thoughts! Thanks for the interview! Good to see BBAW is back! I missed this - my online time has been limited the past month or so - but this is one I would have participated in. Always nice to meet other bloggers. It's nice to discover another male book bloggers! I will review a 2star read as I find some of my blogging friends want to know what I think. I am always respectful and try to find the positive. I do find it hard to give the feedback to authors that requested I read it or Netgalley. I did a DNF post at the end of the year once or twice, most 1 stars are DNF for me and those I don't review on my blog. What an interesting interview - your questions were great, and the responses, too. Curtis is a new-to-me blogger... I'm headed over to visit his blog and to read through your interview. Wow, your interview is so professional. I actually got paired up with someone I know so we were pretty silly. Great q&a! Since I only know of a few male bloggers, it was nice learning about Curtis! Well, I've now seen the Greenwode title twice, and as marketing strategy suggests, it has successfully convinced me to add it to my list. :) It'll be my second Robin Hood retelling this year, and the first was a teeeeensy bit disappointing (I had v. high expectations). The River Leith sounds like a beautiful story. I will be glad to read it! I like the reason for not posting one or two-star reviews, I try to do the same on my blog, unless I am overcome by a need to rant! Great interview. I did post a DNF last month. I don't do it often, but this was a review copy I'd received, and I thought I owed it to the publisher to at least mention why I couldn't finish the book. A lot of people had similar issues with the book. Great interview and nice getting to know Curtis! I never post one or two star reviews because I almost never give them. I just like most of what I read I guess. That was a fun interview and it was nice getting to know a new-to-me blogger!